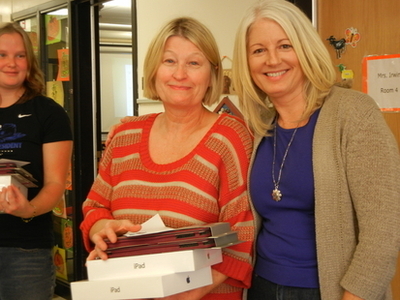 The Pleasant Hill Foundation awards "Innovative Educator" grants each fall. The grants are awarded for innovative and creative educational projects or enhancements to the classroom. The projects may be for a classroom, a grade level, a school or the entire district. Applicants may be one or more teachers, a group of teachers/staff, an outside student group or another PHSD employee. "Innovative Educator Grants are a very important part of the Foundation's goal of enhancing educational opportunities in the classroom and beyond. Each year the number of requests and amount grows and with the continued investment from our community members and alumni we hope to continue to expand our grants program."